Glazed beads are favorite for beading. Glazes can be done in intricate and highly colorful patterns and designs. 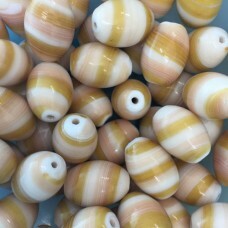 Glazed beads come in many sizes, shapes, colors, and patterns. The brilliant finish is permanent and will not rub off with wear or time. 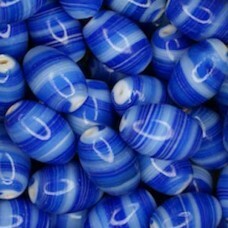 It is a great bead for any of your beading projects. 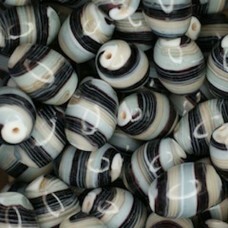 Glazed 12 x 18mm Ovals, Black, Wholesale Bag, Approx 250gr. 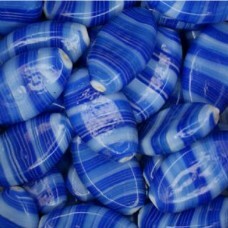 Glazed 12 x 18mm Ovals, Blue, Wholesale Bag, Approx 250gr. 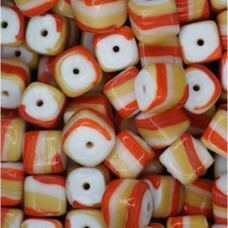 Glazed 12 x 18mm Ovals, Orange, Green and Blue, Wholesale Bag, Approx 250gr. Glazed 12 x 18mm Ovals, Pink & Grey, Wholesale Bag, Approx 250gr. Glazed 12 x 18mm Ovals, Tan, Wholesale Bag, Approx 250gr. 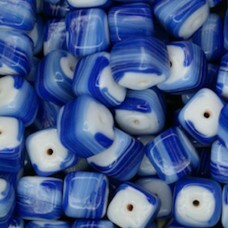 Glazed 9mm Cubes, Blue, Wholesale Bag, Approx 250gr. 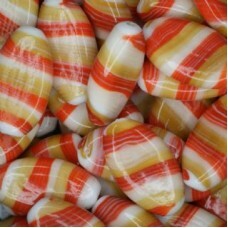 Glazed 9mm Cubes, Orange & Tan, Wholesale Bag, Approx 250gr. Glazed 9mm Cubes, Pink & Grey, Wholesale Bag, Approx 250gr. Glazed 9mm Cubes, Tan, Wholesale Bag, Approx 250gr. 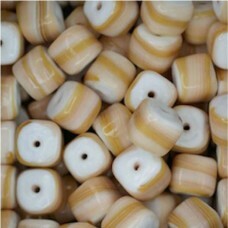 Glazed Ovals, 28 x 17mm, Orange & Tan, Wholesale Bag, Approx 250gr. 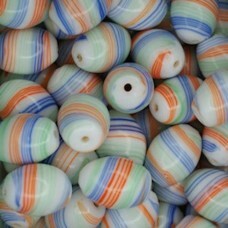 Glazed Ovals, 28 x 17mm, Orange, Green & Blue, Wholesale Bag, Approx 250gr.